Certain everyday things in life seem simple enough: doing the dishes, picking up some groceries, vacuuming the house, et cetera. On most people’s lists, you will also find “doing the laundry.” With today’s sophisticated washers and dryers, it is easier than ever, right? Well, yes, in theory. Unfortunately, the human element is still there, and thus so is the potential for errors. 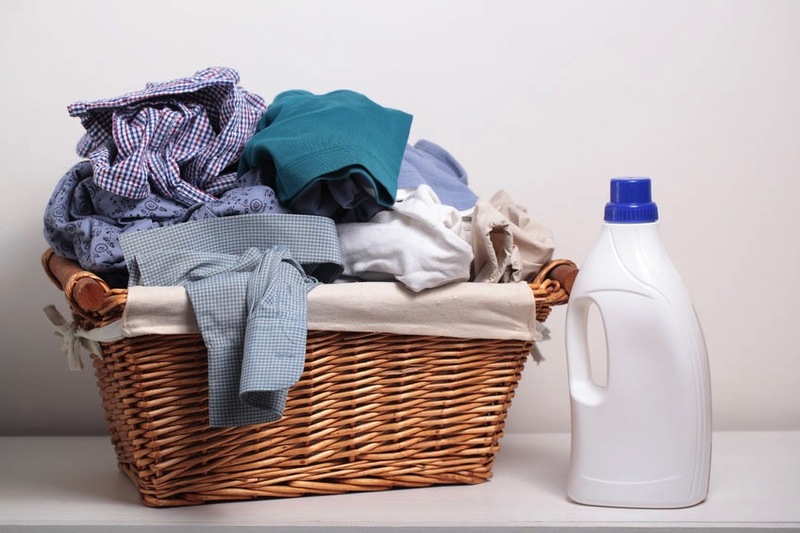 Here are six basic laundry mistakes you can avoid. This will make the task easier and help to preserve the quality of your clothes. Lots of soap means cleaner clothes, right? Wrong. In fact, your clothes will end up being less clean if you use too much. Excessive suds can hinder rinsing and instead cause the dirt to settle into other parts of your clothes. Most front-loading machines these days require relatively little detergent. Follow the instructions in the washer’s manual, gauge the results, and adjust the amount of soap as necessary. Everyone wants their clothes to be sanitary. This is a reasonable concern, particularly if you do them in a laundromat. However, while bleach is great for killing germs, it can also damage your clothes if you are not careful. Avoid using chlorine bleach with colours as they can suffer serious fading (and very uneven fading, to boot). Oxygen-based bleach (also known as all-fabric bleach) is safe for colours, less corrosive, and better for the environment. However, be sure to study the labels of your clothing and observe the washing instructions. If you are unsure, try bleaching a small section to make sure you are happy with the results. As with too much detergent, heavy amounts of pressure and friction are not the answer when it comes to stains. Depending on what you spilled, rubbing it a lot of force simply grinds the substance deeper into the clothes. This action can also cause premature wear. If this remains your preferred method of cleaning, be patient and do it gently. It is also a good idea to use a white cloth to help prevent unintentional colour transferring. We all want to save money, but there are certain areas where cutting corners is just not wise. If your clothing has a label stating you need to dry clean it, putting it in the washing machine is taking a big risk. Once you take the cost and importance of the item into consideration, it’s a risk that is probably not worth taking. You can hand wash some clothes in this category, but we recommend you play it safe and let the professionals do it. Do you turn out the pockets of your clothes before you wash or dry them? Do you do up the zippers? Do you not do up the buttons on your shirts? A little prep can really help the process. Turning out your pockets confirms there is nothing in them. It also aids in the washing and drying process. Doing up zippers helps ensure nothing snags on them while twirling around in the washer and/or dryer, and prevents the zippers from scratching the inside of the machine. Finally, buttoning your shirts is not a good idea because the churning action of the machines can lead to increased wear and tear, or even the buttons popping off entirely. Put the socks into the washing machine before anything else. This way, they are less likely to attach themselves to other clothing and vanish on you. Wait until you have a lot of dirty socks and devote a load exclusively to them. While this may not be the most practical option, it does work well!